With the world’s first healthy, live birth baby born from Spindle Nuclear Transfer (SNT), Darwin Life is a leader in Nuclear Transfer bio-technology research for Reproductive Medicine. With a rising infertility crisis, top reproductive endocrinologists and the best embryologists are constantly researching how to address genetic disease and its inheritance from one generation to the next. A number of rising technologies have emerged including CRISPR, Egg Augmentation, and Cytoplasmic Transfer. However, one of the most promising advances has been in the study of Nuclear Transfer, a technical term for Cloning. Nuclear Transfer is the process of removing DNA from an unfertilized egg (oocyte) and then replacing it by injecting secondary DNA (the DNA to be cloned from another oocyte) back into the egg. There are 4 main types of Nuclear Transfer: Somatic Cell Nuclear Transfer, Spindle Nuclear Transfer, Germinal Vesicle Nuclear Transfer, and Pronuclear Transfer. Other variations include the combination of these processes. Originally developed in 1952, Somatic Cell Nuclear Transfer is the method of cloning that resulted in Dolly, the cloned sheep, and was developed as a means to study cell differentiation and cellular rejuvenation. Today, nuclear transfer technology has drawn global attention from scientists and bio-ethicists alike, as the future of science and medicine evolves to address the immediate future of genetic manipulation and cloning technology. Named after Charles Darwin who is believed to have had a Mitochondrial Disease, Darwin Life is addressing Mito Disease and is uniquely positioned on the frontier of medicine, pushing the boundaries of Assisted Reproductive Technology. 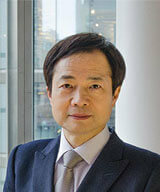 Doctor John Zhang, Founder/CEO of Darwin Life is a practicing Reproductive Endocrinologist and Infertility specialist. He is celebrated as a pioneer in the area of Minimal Stimulation In Vitro Fertilization (Mini-IVF™), Natural IVF, and American Egg Freezing using Vitrification. 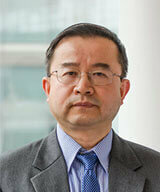 Doctor Hui Liu is an internationally recognized Reproductive Scientist and Embryologist. He serves as the Chief Research Scientist for Darwin life, contributing significantly to the development of Nuclear Transfer techniques including GV Transfer, MII Spindle transfer, and PN transfer. The information contained on this site is intended for informational purposes only. Please be advised that MRT and IVF using MRT-modified oocytes is not performed in the United States, and has not been reviewed by the U.S. Food and Drug Administration. Also, due to its experimental nature, limited use to date, and other variables, we cannot guarantee procedures will result in successful outcomes and healthy children. Darwin Life operates to conduct IRB-approved basic research within the regulations of a research license, and the company will not conduct any clinical work in USA for the foreseeable future.